Background Music for Fashion Shows & Catwalks: Where to get it? Where and how to acquire the musical licenses? Where can we find the right music? If you’re a fashion event organizer you should already know the fundamental role played by background music in this type of shows. As you know, a catwalk is much more than what the attendees ultimately see: people of great beauty and elegant clothes. Podemos incluso realizar el símil con una película en la que los/as modelos son los actores principales, pero también participan los directores, -en este caso en forma de diseñadores-, los platós, -en este caso presentados como pasarelas-, los focos, las bandas sonoras…We can even make a similarity with a film in which the models are the main actors, the designers are the directors, the catwalk is the set and the background music is the soundtrack. If you make a bad decision on any of these elements, you can spoil a very good line of clothing due to a defect in your presentation, that is, a whole year -or more- of work can be thrown overboard in a few minutes. Music has always played an important role in transmitting emotions and sensations to the public and, obviously, the catwalks are no exception in that sense. The importance of this sound element is very easy to explain, even without words. As simple as if you do the exercise right now to try to imagine a fashion show without any music. Now imagine for a moment what kind of catastrophic and boring a parade would be with the models walking and posing with a sound environment formed by uncomfortable silences, background comments from the attendees, camera noises when taking photographs, etc. In fact, fashion shows can sometimes seem a bit monotonous in terms of protocol and it is in that precise monotony that music comes big into play. Music turns that event into something different and unique, at the same time imposing a rhythm that keeps the audience awake and attentive at all times. Therefore, the function of background music goes beyond preventing attendees from resting their heads on their seats and closing their eyes. Songs generate emotions that reinforce the sensations that we want to transmit as designers with that clothing style. When you as a designer decide to present a certain line you do it under a concept to be transmitted as if it was an advertising campaign. Consistency is vital for the success of any parade. In this way, depending on the type of parade, we will choose one musical genre or another. For example, if there’s a formal clothing style on the show and the concept that the brand wants to convey is elegance and seriousness, the most ideal thing would be to choose classical but modern songs. On the contrary, if there’s an informal or summer style and the concept that seeks to transmit the brand is somewhat festive, precisely for the season, the ideal would be to choose a more modern and informal music, with a faster pace, cool and fun. And remember, almost all songs displayed on fashion shows do not have vocals or lyrics. It is also very important in choosing the songs for a show to be clear about the values of the clothing brand, since all the elements must be consistent so that the effects do not clash with a brand image that usually requires for its construction and diffusion many years, effort and investment. Music also plays an important role for the models. The presence of music, whatever the genre, motivates them and at the same time helps them to recreate themselves in the situation and to perform better since they perform the role of actors: they do not walk the same on the street as on the catwalks. This also serves to generate a rhythm and a speed for them when walking. Depending on the particular piece of song that is playing, the model can know the place where it should be, thus having the possibility to find out if it should keep pace, accelerate or slow down. Where we can find the right music? Live performances of popular singers. Choreography on the same catwalk. Surely if you’re starting the preparation of a fashion event to opt for orchestras, popular singers and choreographers will be out of the budget. Therefore, we will focus on the reproduction of background music, since it is much more affordable and -if we make a good musical choice- it can be just as effective or more than any of the other options. However, we cannot download any random song and use it in the show, since as you know the so-called copyrights exist. Request personal authorization to use the music from the author or record company. Pagar las licencias correspondientes a la SGAE (Sociedad General de Autores y Editores) u organización pertinente de autores en tu país.Pay the corresponding fees to the PRO’s (Performance Rights Organizations) such as BMI, ASCAP or SESAC in the United States. Purchase licenses online for the use of royalty-free music. The first option is the most complicated, either because you do not receive any response from the author/record company or because they are going to ask for exorbitant amounts of money for letting you play their music. It just makes no sense from the economical and practical point of view. If you decide to opt for the second way to be able to use certain music legally, the different PRO’s around the world usually base the prices of its licenses on the surface of the establishment where the music is played. If you do need to use famous songs, that would be the option. But it would be expensive and there’s a lot of people who think that these organizations are doing more harm than good to the music industry. In order to search for a solution to that, we present you here two platforms dedicated to offering royalty-free music online: Audiojungle and Jamendo Licensing. 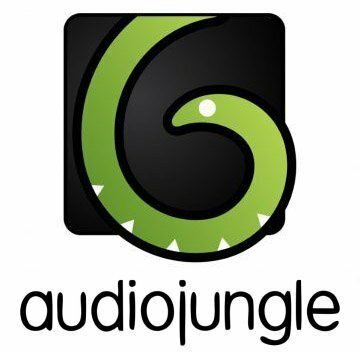 Audiojungle is a platform dedicated to the licensing of songs with their respective copyright licenses. Through this marketplace, you can get the songs you need for any show. Its service stands out especially for its great variety in terms of musical genres and its effective search system, which allows you to find music according to the mood you want to transmit. On the other hand, we also have the Jamendo platform, which, like Audiojungle, is also dedicated to the sale of music for commercial use, being their clients Sony, Inditex, Nespresso and Ford, among other big brands. As with the PRO licenses, the prices depend on the surface of the establishment where the parade takes place. The platform also offers us the possibility of acquiring a license that allows us to obtain all of its music at a stroke and to use it in a completely legal way. 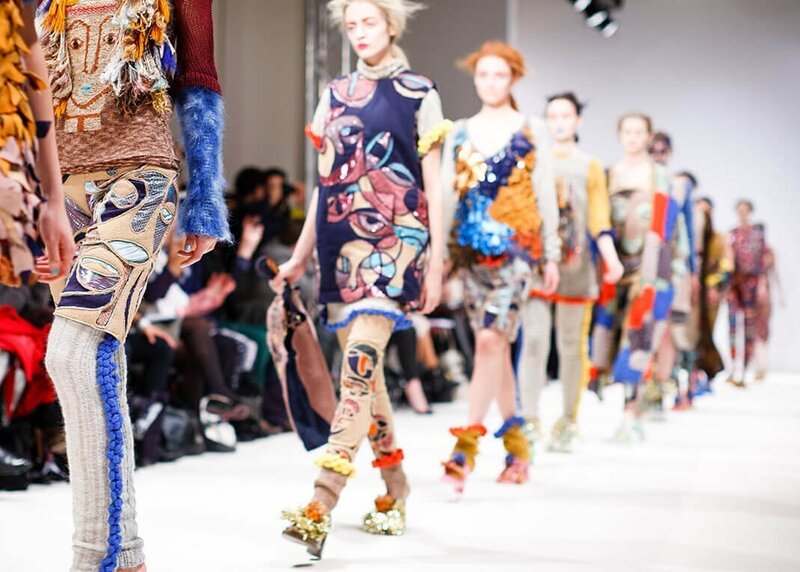 In the case of fashion shows or catwalks, the ideal license is the so-called ‘Extended License’, since it is the one that allows the reproduction of said music in live festivals and its price is 99€/month. Currently, in addition, the platform is offering two weeks trial period, which allows us to try any of the license types to see if they fit our purpose. The possibilities offered by these platforms are many, which makes it very easy to acquire music for your fashion shows. There is no doubt about the importance of this musical environment for the organization of any fashion show, since this is capable of converting a simple walk of pretty faces, cool clothes and stylized bodies in a shocking show that attendees can remember the rest of the year.